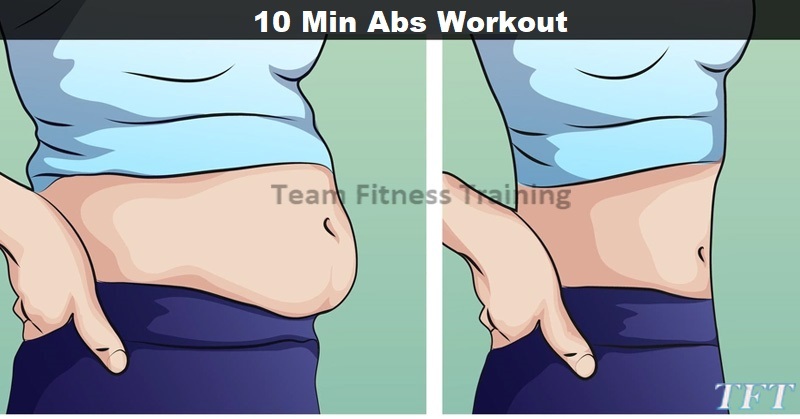 In today’s article we present to you a video which will show you how to implement a simple 10 minute workout plan that will do wonders for your body. The exercises specifically target the midsection of your body, so if you’re struggling with your belly fat, then this workout plan is perfect for you. If you are only doing this routine, we suggest doing it two to three times a day at random times throughout the day and do this daily set up three to four days out of the week. To get more muscle definition out of this workout, you also need to incorporate a reduced calorie diet and more physical activity to get rid of any excess fat content that may be covering your midsection. If you are using this routine in conjunction with other workouts (we suggest doing it this way) then you dont need to do it as often. On top of a regular workout program (2-4 days per week strength training plus 1-2 days per week 45-60 minutes cardio or 20-40 minutes HIIT; for example) then add this ab workout in on your cardio days and on two or all of your strength training days. On the cardio days you can do this ab routine before or after the cardio but on the strength training days try and do this routine at the opposite end of the day from your regular workout. This helps keep you from over stressing your core muscles, as well as increasing the number of calories burned in a day compared to doing both the strength and abs video at the same time.